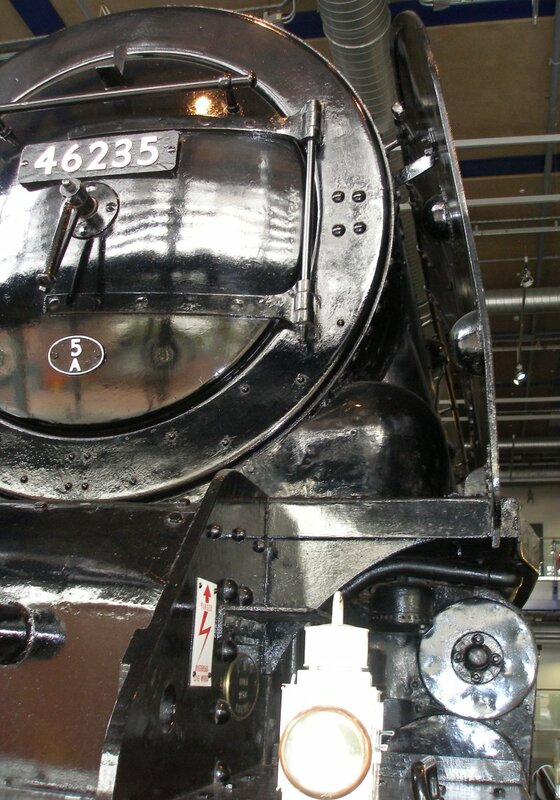 The ex-LMS Stanier Coronation class never appeared at Hall Royd, with the exception of a one-time appearance of the Turbomotive on a Manchester-bound freight. 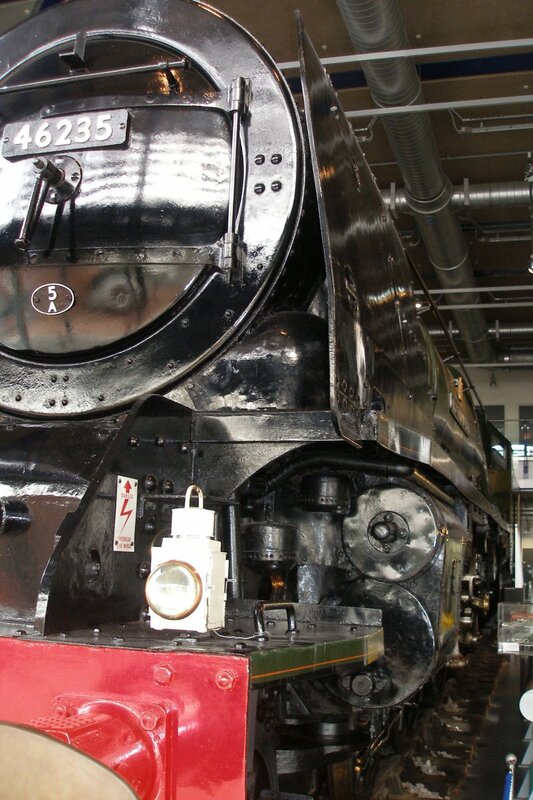 That is, until modern times when a green Coronation has been employed on steam specials through the area. 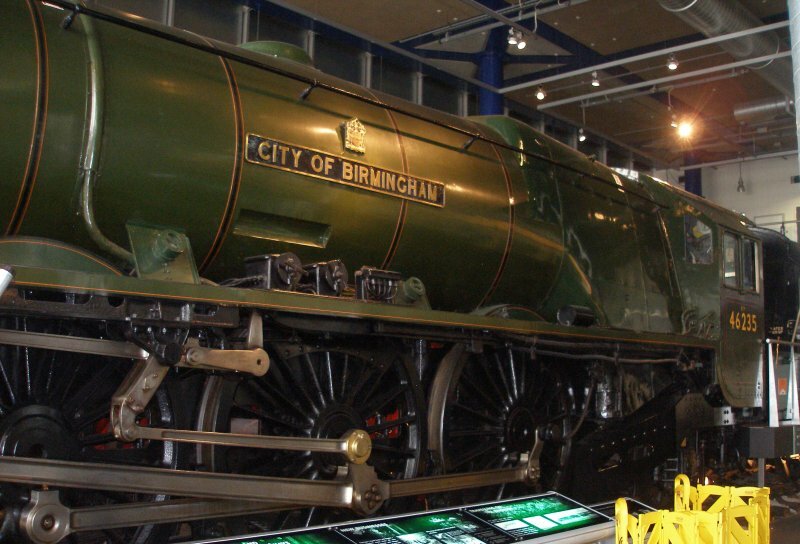 Of the three preserved locos, only one is in BR green, namely 'City of Birmingham' at the ThinkTank museum in Birmingham. This is an interesting location, as the loco is virtually impossible to photograph due to pillars and walkways obscuring much of the detail. 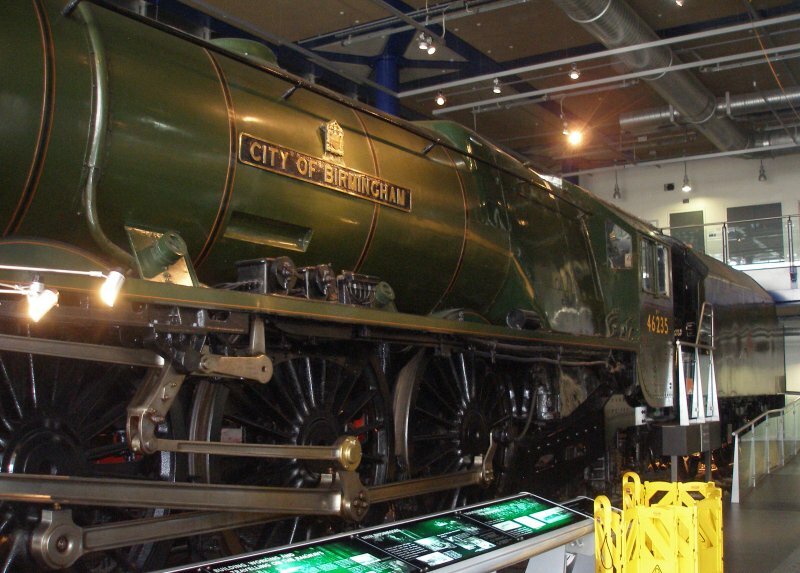 However, the locomotive faces out onto the Curzon Street station building, and is arguably is the first loco to make it there before HS2 terminates in the old Landor Street goods yard site. 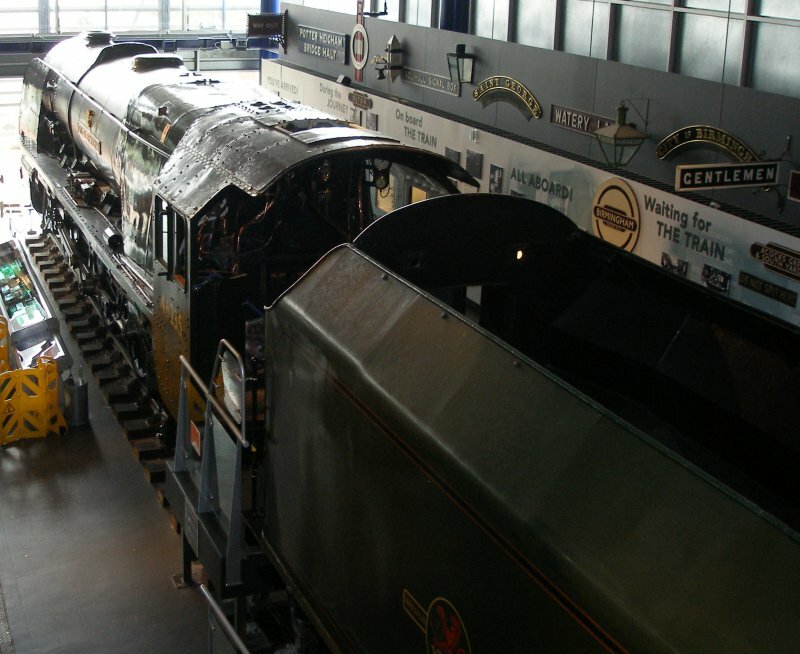 Stanier 'Coronation' Pacific 46235 'City of Birmingham' as seen in the ThinkTank Museum on 10 October 2015, showing three quarters rear view from the rear gallery. 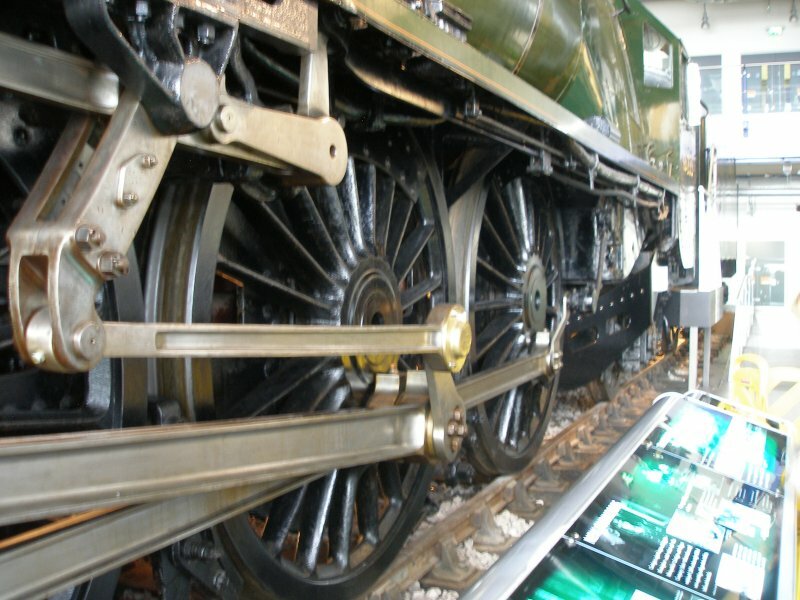 Note how the loco and tender have been separated, and a viewing platform inserted. 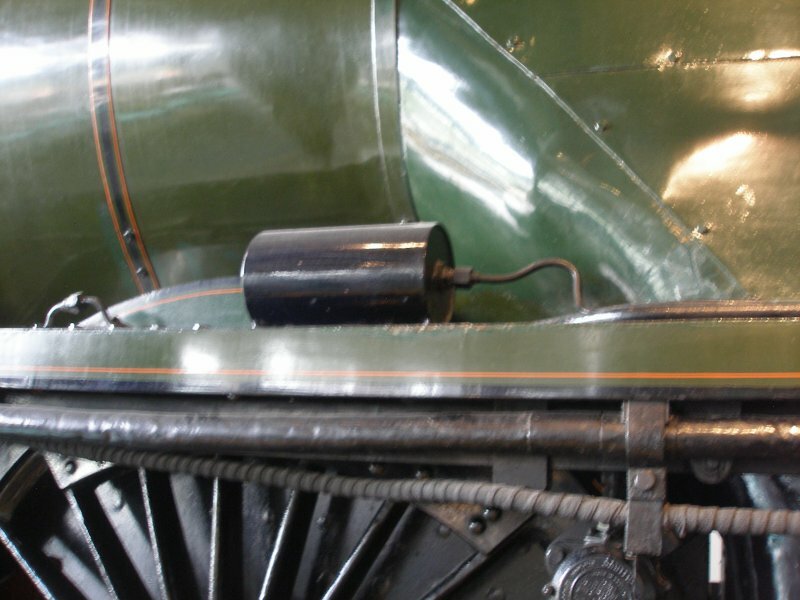 The smokebox front and inside view of the driver's smoke deflector. 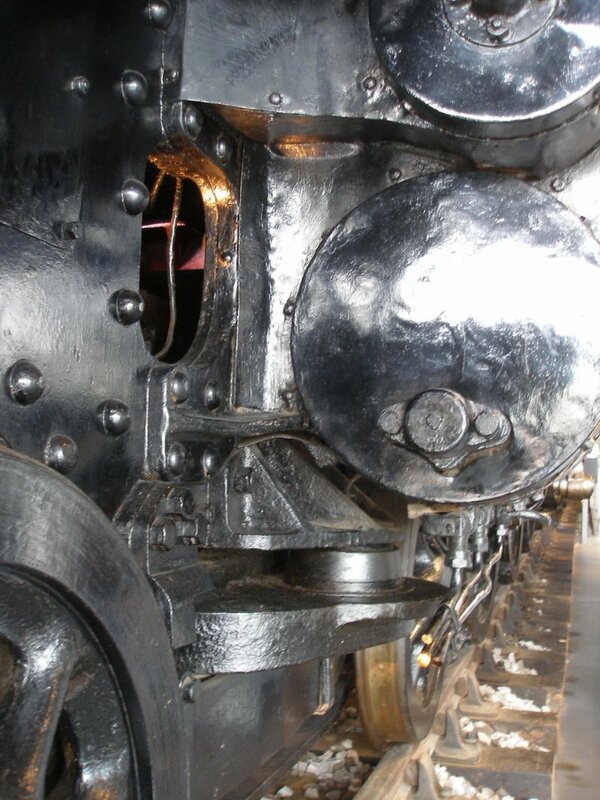 Note the two recessed hand holds let into the smoke deflector. 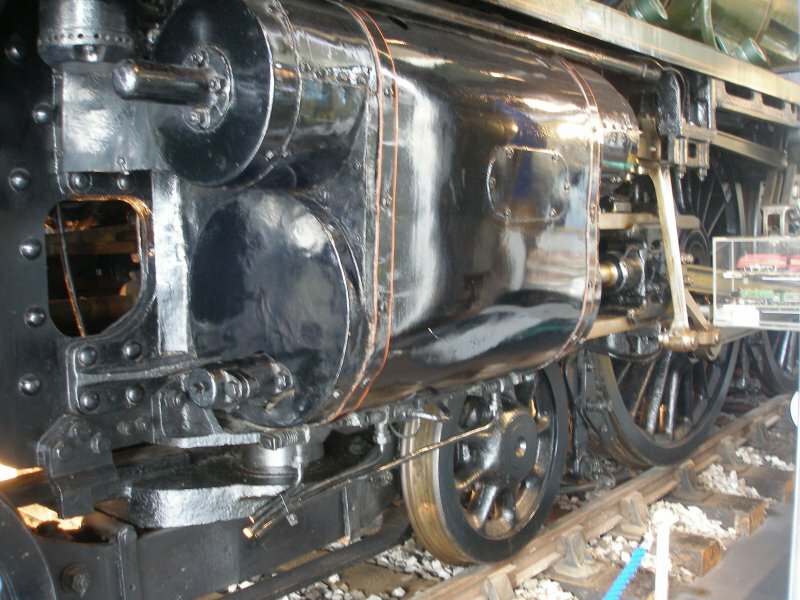 The smokebox front and smoke deflector, with a view down the towards the cab. 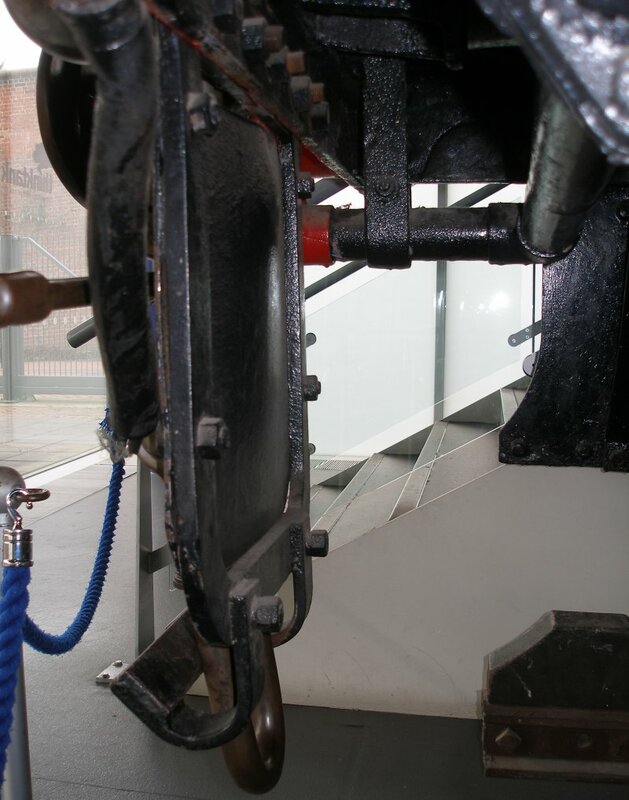 The lamp has been wired to the front handrail to stop its unauthorised removal. 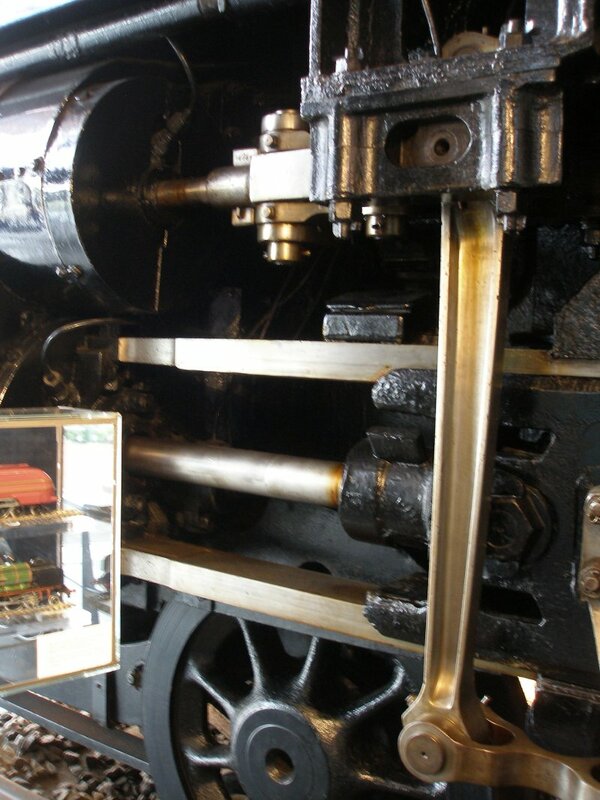 The driver's side the outside cylinder, the loco having four cylinders in total. 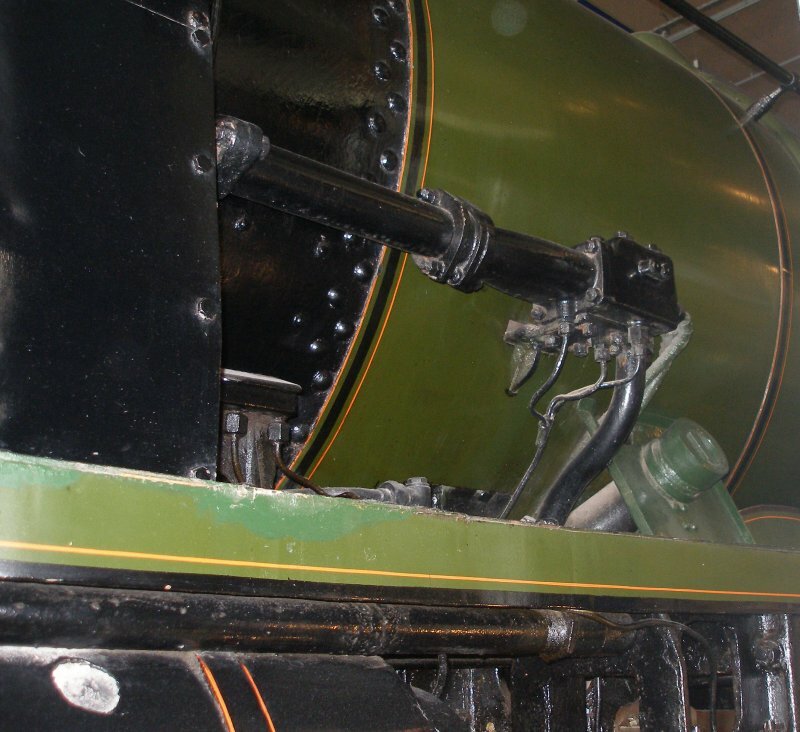 The piping under the front footplating in front of the driver's side cylinder. The front footstep on the driver's side. 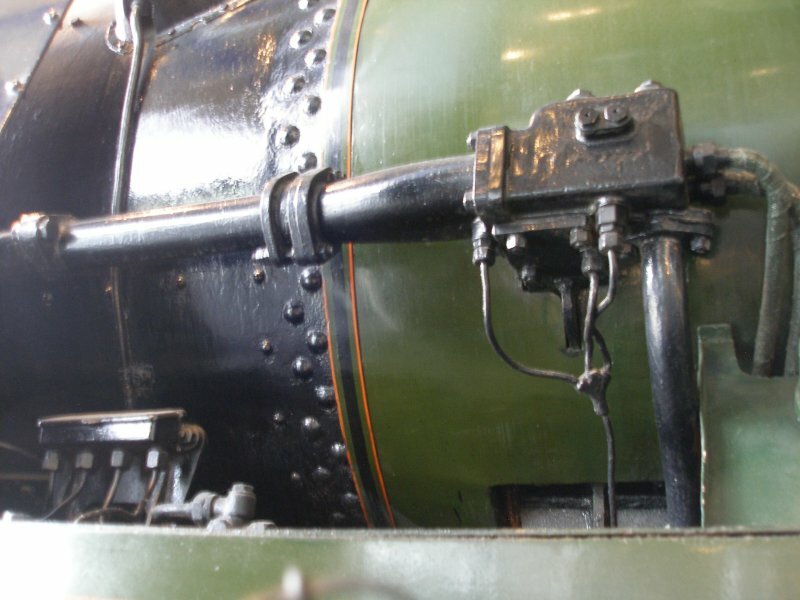 Note the three cable handing down which would be plugged into the AWS magnet, which was presumably not refitted by BR when it was being prepared for the museum. 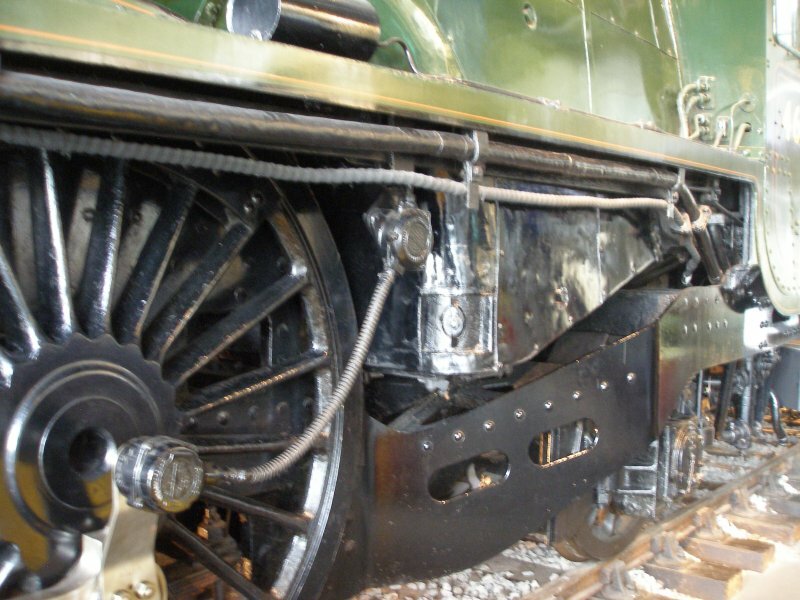 The front coupling and AWS bang plate. 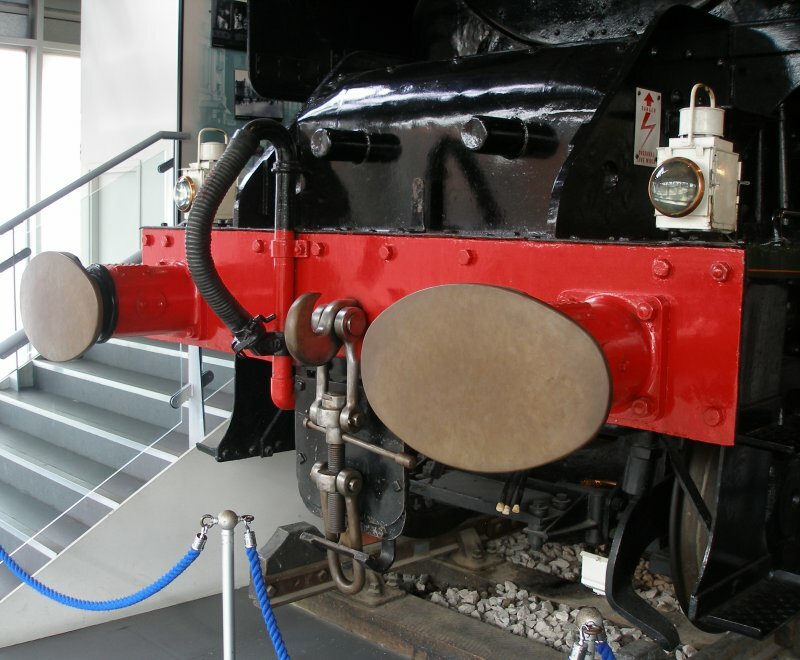 Note how the bottom link of the coupling is place inside the bottom strap of the bang plate, and the over lapping plates behind the coupling. 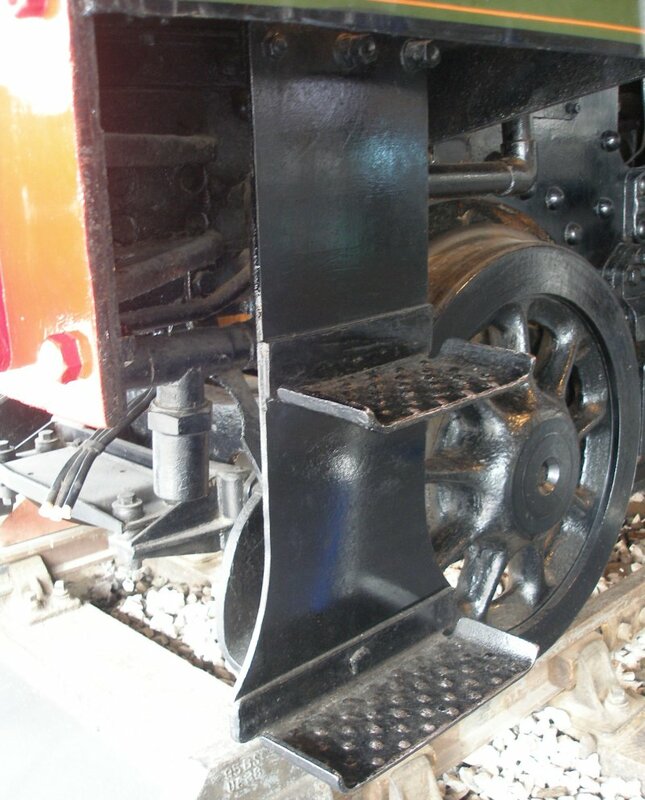 The front coupling, AWS bang plate and front stretcher plate of the bogie shown in detail. 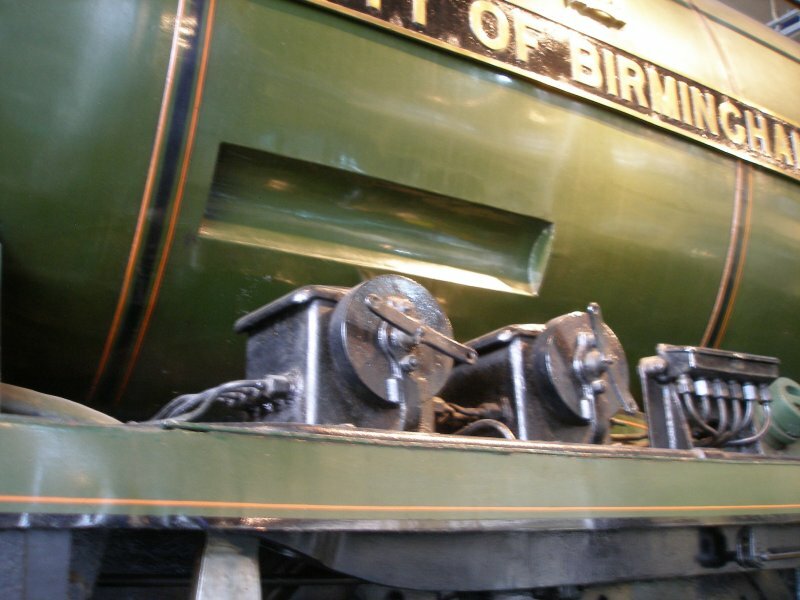 Note the AWS cabling which shows the approximate location of the missing magnet..
Close-up view of the AWS bang plate. Close-up view of the rear of the AWS bang plate. 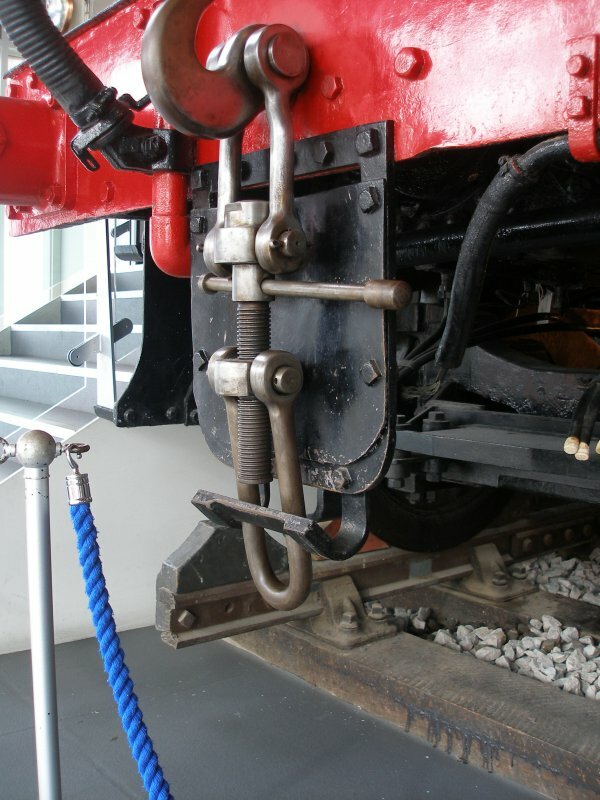 Close-up of the bogie bracket behind the driver's side cylinder. 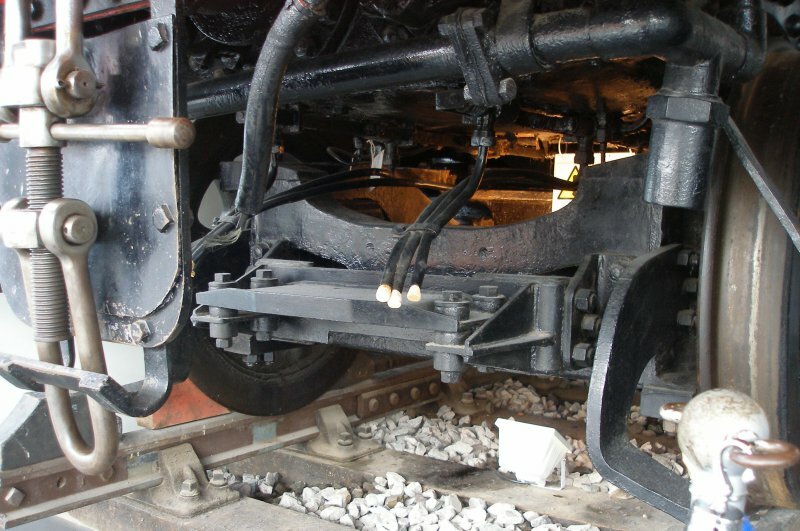 Close-up of crosshead and slide bars on the driver's side. Ejector on the driver's side, behind the smoke deflector. 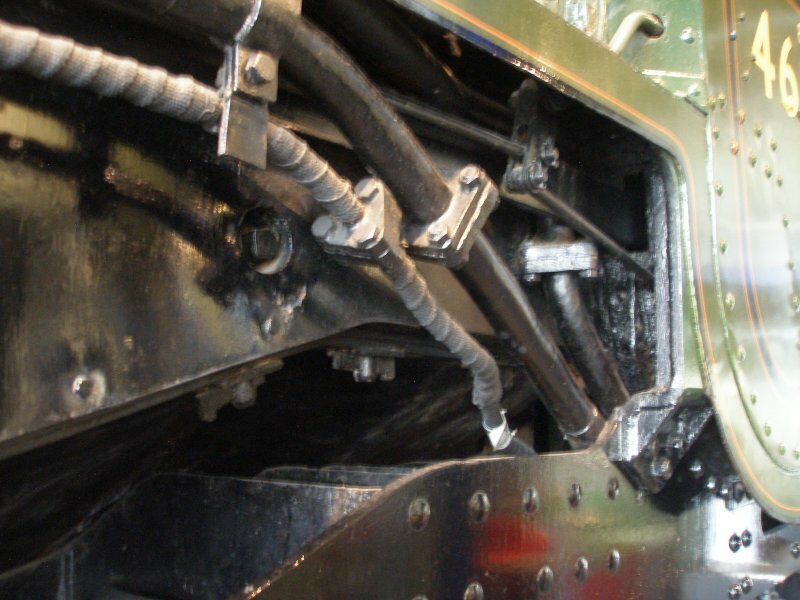 Close-up of lubricator's on the driver's side footplating. 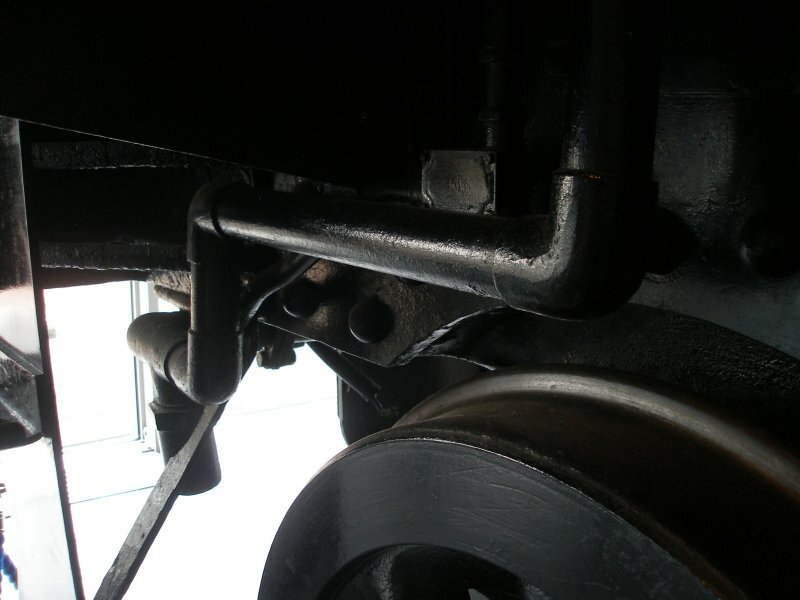 Close-up of piping and rodding on the underside of the driver's side footplating. Side view of the driver's side. View of the driver's side ash pan and rear truck.